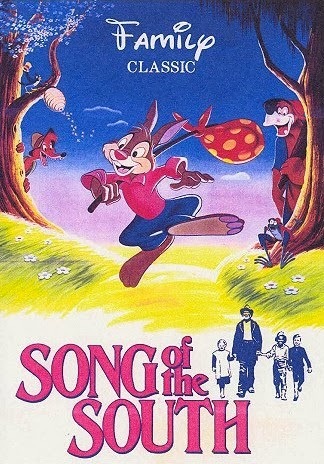 Song of the South, by Disney. The kindly story-teller Uncle Remus tells a young boy stories about trickster Br’er Rabbit, who outwits Br’er Fox and slow-witted Br’er Bear. 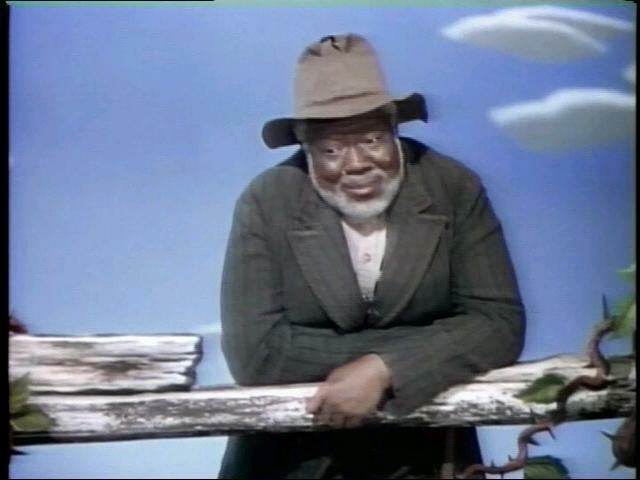 Uncle Remus is a fictional character, the title character and fictional narrator of a collection of African-American folktales adapted and compiled by Joel Chandler Harris, published in book form in 1881. A journalist in post-Reconstruction Atlanta, Georgia, Harris produced seven Uncle Remus books. Trivia from IMDB: The complete film has never been released on DVD in the USA, but extensive clips appear on the Alice in Wonderland (1951) Un-Anniversary Edition DVD (2010), in the special feature One Hour in Wonderland (1950).